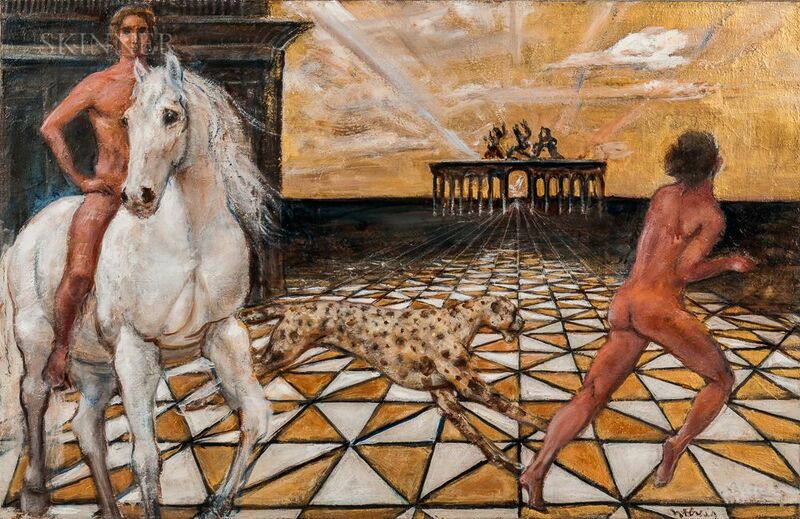 Dream Painting with Horse and Cheetah. Signed "NE Craig" in two places l.r. Oil on canvas, 36 x 56 in., unframed. Condition: Craquelure, drying cracks, small paint loss u.r., surface grime.